So let's say you've made a landing page with an offer on it and you have created ads to draw people to this offer. Maybe it’s an eBook or a free template download, but whatever it is I’m sure you put some time and effort into it. You are hoping to see an increase in leads generated and ultimately an increase in sales. The problem is you can track how many people clicked on your ad, but the real question is what did they do after that initial click? Did they sign up for your mailing list? Make a purchase? Fill out a form for more information? This information is important and knowing it can be valuable for your business. If someone who clicked on your ad made a purchase 1 hour later it’s a good conclusion that you created some valuable content. If they never returned to your site it probably wasn’t that great. Being able to analyze and understand this information will influence the offers you create in the future. 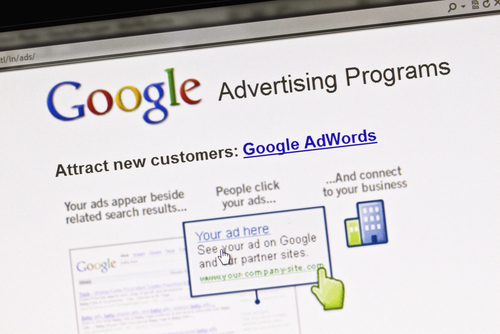 Google's AdWords conversion tracking allows you to do just that! Conversion tracking is a free tool that tracks the customer's actions by placing a temporary cookie on their computer when they go to your landing page, for example, so that a conversion can be recorded up until they reach the thank you page or the last step of the process. This can be done on your end by getting a code from AdWords that you can attach to the page you want to track. It will allow you to see what the person did after they clicked on your page: did they download your offer or purchase a product? How long did it take them to get to the end destination, did they browse your page or click on other offers before they committed? Maybe they clicked on your landing page in one device but downloaded it in another. This is called cross-device conversion and can be tracked and viewed in the Estimated Total Conversion column in your AdWords account. This kind of tracking can generate some very interesting results especially when you set it up in an A/B test. It can help you to figure out what keywords were more effective, which offers took longer to convert into sales and generally what was more effective. Based on these results you can figure out where you’re gaining more ROI, where to start investing more money and what to discontinue. Here’s where the real fun starts! After a few weeks of using AdWords conversion tracking you can use Search Funnels to track more detailed data, like how much time elapsed between the initial click and the conversion or how many times did they see the offer before they accepted. This data can really help you get down to the nitty-gritty details. Do the ads for your offer not clearly show what you are offering? Is the page hard to navigate? If a lot of your business’ sales are made offline, by contacting someone on the sales team, you may be thinking that AdWords conversion tracking is not for you. But wait! Before you lose faith we are going to show you how easy it is to enter in these sales and continue tracking that conversion with AdWords. 1. Prospective buyer clicks on your ad and AdWords sends you an alphanumeric code called a unique click ID. 2. The prospective buyer is brought to your landing page, completes the call-to-action and the click ID is passed along and stored in your database. 3. The sales team follows up and the sale is made. 4. The sales team enters the information for this sale into the database along with the click ID, the conversion type and the date of the sale. And in 4 easy steps this sale has become a conversion that can be tracked using AdWords! 1. Create an AdWords account. 2. Under the “Reporting and Tools” tab click “Conversions”. 3. Click the “New Conversion Button” and name the conversion. Let’s call it “download eBook”. 4. Clicking “Save and continue” will bring you to the code tab. 5. Choose the security level your website has (https means you are a business site that accepts money, while http means you don’t accept money). 6. You have the option to enter the revenue that you will gain from this action. 8. Save this information and Google will generate an html code specific to you. This is your conversion tracking code. 9. Include it on the thank you page to start tracking the number of people that downloaded your eBook. That may seem a lot of information, but it’s easy! And now that we got that out of the way you are ready to start tracking your conversions to determine what is generating the higher ROI.